She is just the best, hands down, and you want her to know that you feel that way. 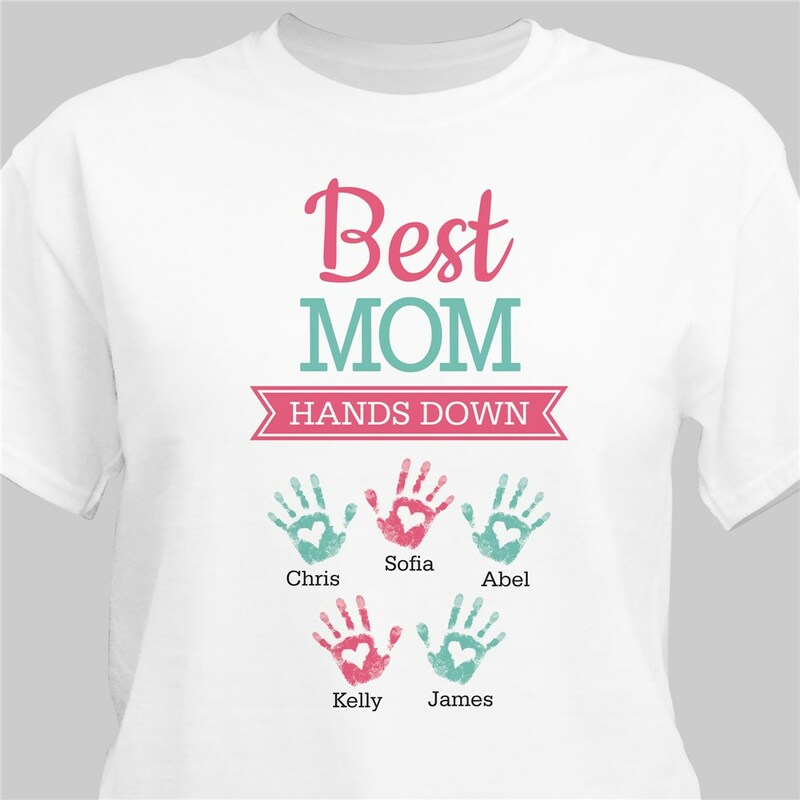 Give her a Personalized Best Mom Hands Down T-Shirt gift this Mother's Day. 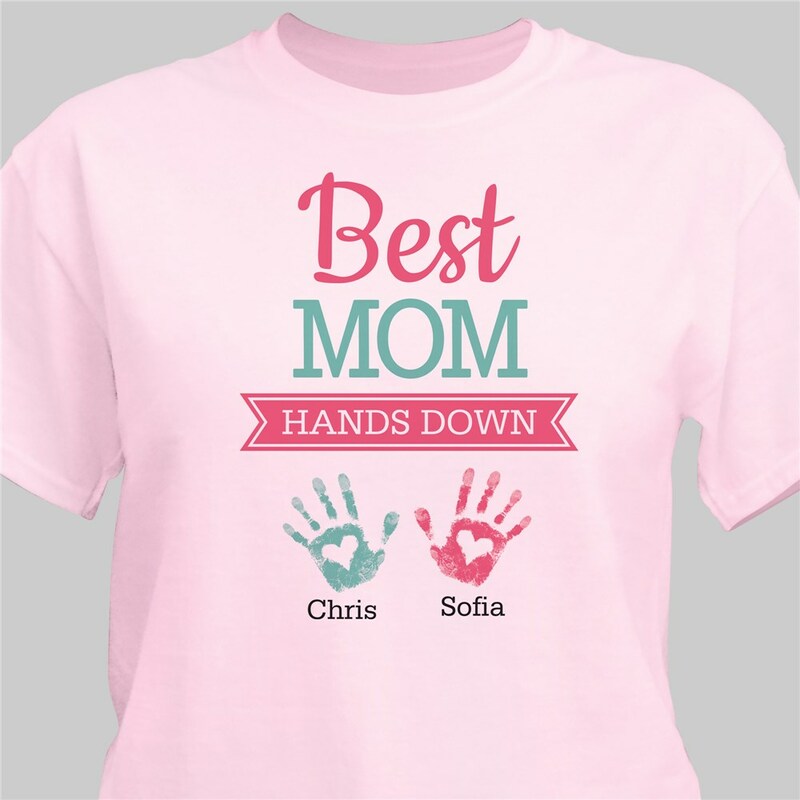 We will custom create these mommy shirts with any title and up to 8 names, with choice of icon, to make a t-shirt any lady will love to wear. 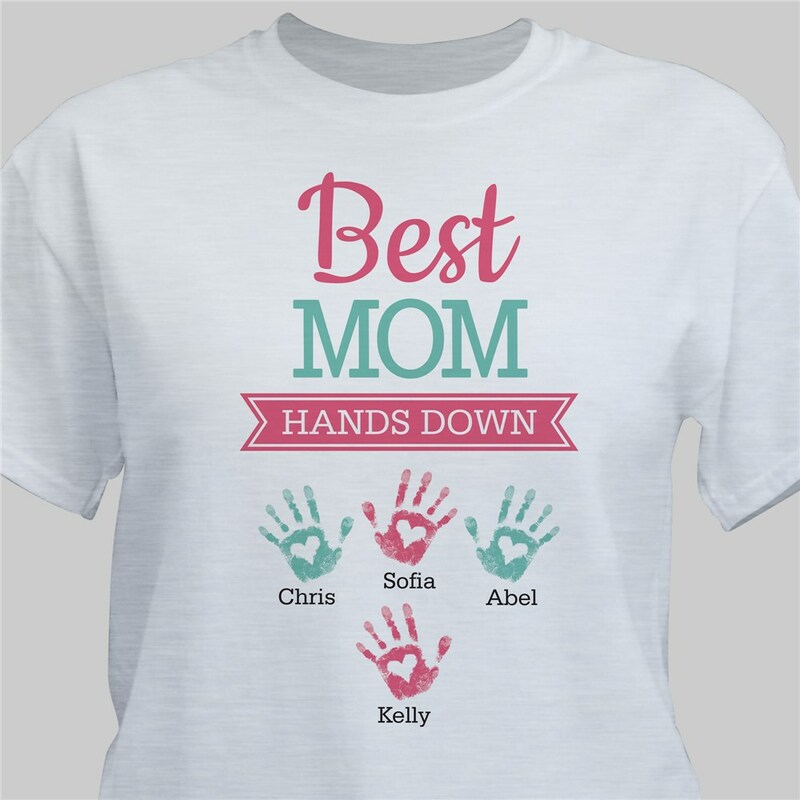 Give these Mom TShirts to any special women in your life this Mother's Day! Great product was exactly what I ordered and expected. All The T Shirts that I made and ordered were awesome. They made my mother’s day awesome for the women that revived them. Additional Details Shop even more Mommy shirts today!